Every year around this time, tens of thousands of people are taking their initiation (and the bruises) on the slopes, which we know include obligatory button lift failures, epic face plants and aches in places that previously didn’t even exist. So we thought we’d ask you guys to come up with your beginner’s tips for snowboarding on our Facebook page, and we certainly weren’t disappointed. You guys quickly responded by sharing your key tips as well as coming up with a few funny anecdotes. Please join in and add your own in the comments below. Many of you couldn’t stress enough the importance of padding up when you hit the slopes. This includes wearing the correct safety gear such as a safety helmet, wrist guards, protective gloves, and bum pads/padded shorts (which you will appreciate after falling down repeatedly). Padded shorts are perhaps the most favoured purchase for novice boarders heading out for their second season: Trust us, don’t leave it that long. Get lessons from a qualified teacher was another top response from you guys. 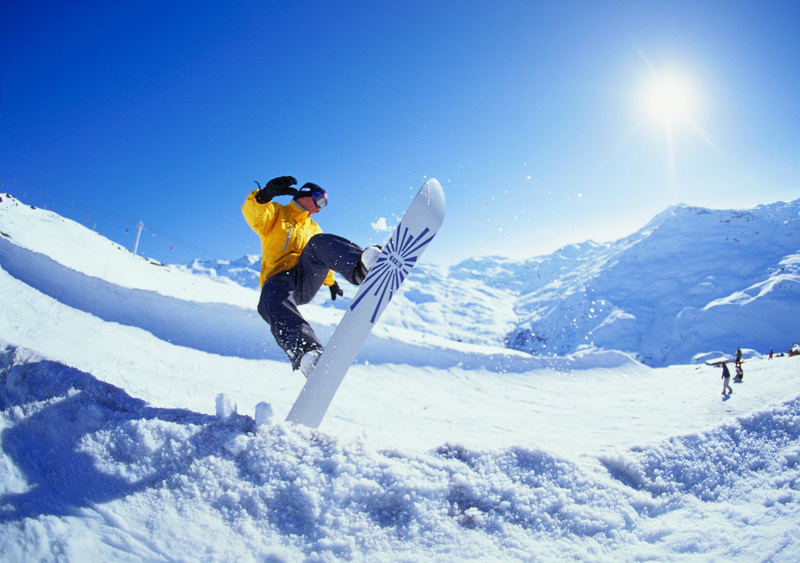 Trying to learn how to snowboard is a difficult task so ease the pressure off by investing in a qualified instructor where they can save you from picking up bad habits. That’s not all you advised, you also encouraged beginners to keep all lessons close together so everything you learn stays fresh in your mind. If you do decide to learn once you are there, especially on larger resorts you’ll find an instructor will help you find the most suitable runs� – there is nothing quite as intimidating as taking a wrong turn onto a black run in your first few days. In that case, see tip 1! Learning control over your board came up multiple times, with the most important pointer being to learn how to stop first and foremost! Once you can do this you will feel comfortable in most snowboarding scenarios which will allow you to build up speed gradually on the slopes. A key bit of advice for any beginner is to ride with a small group who are at the same skill level as you. This will encourage you as well as give you the opportunity to laugh at each other the whole day. Also, try an indoor session on a snow slope where everybody is in close proximity and the weather isn’t an issue, it will give you a head start for a bigger mountain. One of the most common snowboarding errors is that people tend to shove the board. One handy piece of advice instructed beginners to remember to twist the board and not shove it, for example reverse the pressure on your front foot (from toe to heel or vice versa depending on which edge you start) and once round (not at the same time) then do the same with your back foot. You’ll glide round! Hopefully these first time snowboarding tips will prove useful for anyone heading out for their maiden runs in the next few months. Above all else though, enjoy it – You only get one first time!